request. (Hint: The Volkswagen beetle is air-cooled and does not come with a radiator.) 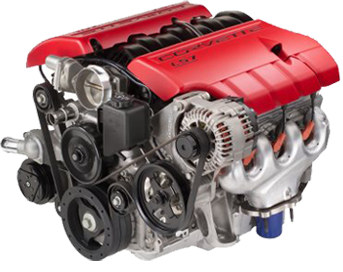 Perhaps you need a new engine for your Corvette and are not seeing it in our stock. customers in an ever-growing automotive market place. There are literally millions of different parts that are available to you by just lifting the telephone, e-mailing, or visiting us in person here at Snyder’s. approximately 2000 other automotive recyclers that our not our daily trading partners. KOLT and Lone Star are both separate voice locating lines that involve using a special 2-way phone to access what is basically a conference line. All of the subscribing members of the line can hear what all of the others are saying at all times. The KOLT line is the oldest voice line of this kind in Texas. The Lone Star line has a couple of additional features that are encompassed into it. The line is facilitated by a monitor based in Alabama. The Lone Star monitor is in a room with approximately 20 other monitors from other lines across the country. All of these lines are tied together through the monitor and printed part requests that are put out by the individual auto recyclers. Parts Express is the newest socket in our set. This line which has just been in existence for a couple of years has exploded into a top notch locating and selling system. This line combines new satellite communications, video, voice and text to create a 21st century feel around the auto recycling industry. Although not yet a member the next tool Snyder’s will purchase to round out our part locating toolbox is Orion. This system is also satellite-based communications and offers instant access to the inventories of approximately 1500 yards in the United States and Canada.